Claes Oldenburg loves to make giant sculptures out of everyday objects. 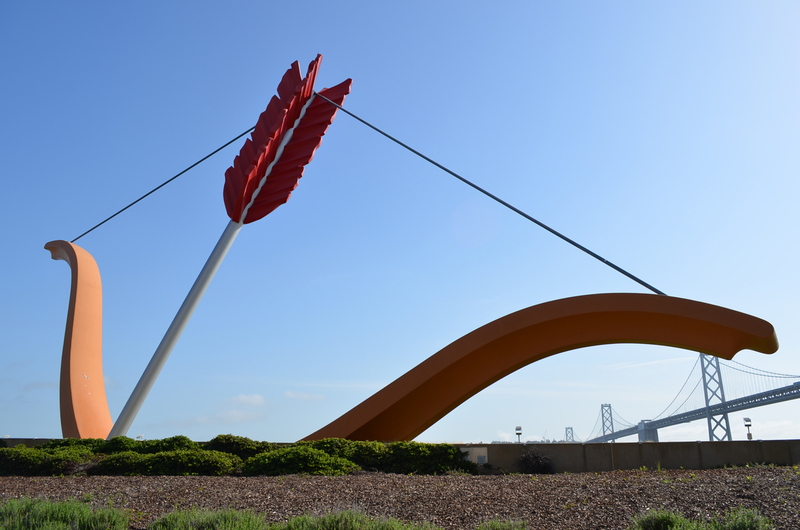 Cupid’s gigantic arrow pierces a hill near the water, imbuing our little city with affection. He’s supposed to be a baby, but I guess Oldenburg imagined he brought in the big guns for us. Probably to assuage angry Giants fans. The upside down positioning of the arrow ends up working well with the environment, though. The bow and string end up looking like a ship, or alternately the suspension of a bridge which compliments the scenic view of the bay. If you can tear your eyes away from the nudist bicycle parade.